Are your jeans always the right length when you buy them? Yes? That’s awesome. No? 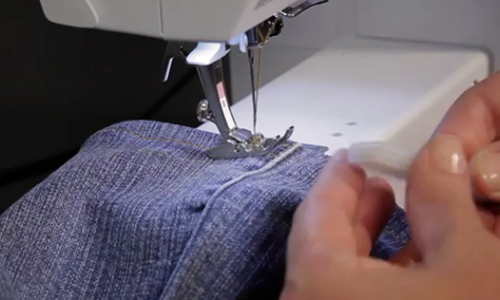 Well, come with me and watch Connie show how to create just-like-ready-made jeans hems in this super video. Nice tutorial and good tips. There is, however, a much easier and better method to hem jeans. It keeps the integrity of the original hem. It involves no cutting, just turn up the original hem equal to 1/2 the amount needed for shortening and stitching along the original hem line. More detailed instructions can be found on the web. Pingback: 5 blogposts die je moet lezen • Dat maak ik zelf!Dat maak ik zelf!